This elegant project builds outward in layers.The crystal bracelets suitable for any occasion and for any age. Lots of Swarovski sparkly bicones and pearls. Have 3 sizes to choose from. 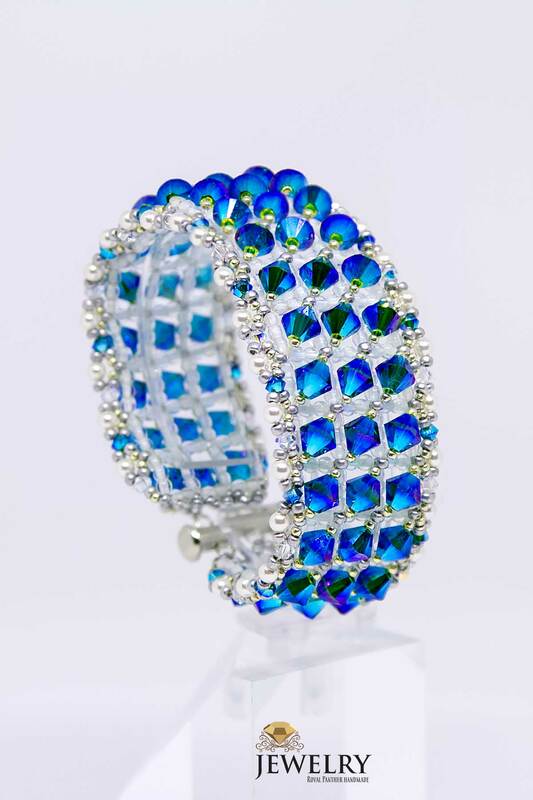 Dare to dazzle with this bejeweled and shiny bracelet.